I went out yesterday afternoon (January 1) to get my first train(s) of 2017. As I drove up to the CN Rivers subdivision, I saw headlights to the east, indicating a westbound train. I turned west and headed toward Diamond and started planning my shot. Where did I want to photograph the train? What angle? What lens? I've become pretty comfortable with zipping out to the CN main lines east and west of my house. They're quick, easy, but I have to say.. not challenging.. and there is not much of a variety. I love the open prairie but there are a distinct lack of props / background details to be had near Winnipeg. It's time to push the envelope and go a little farther. I have two areas in Canada that I plan on visiting in 2017, and a couple of other "hopefuls". The area around Assiniboia, Saskatchewan has fascinated me for a while. 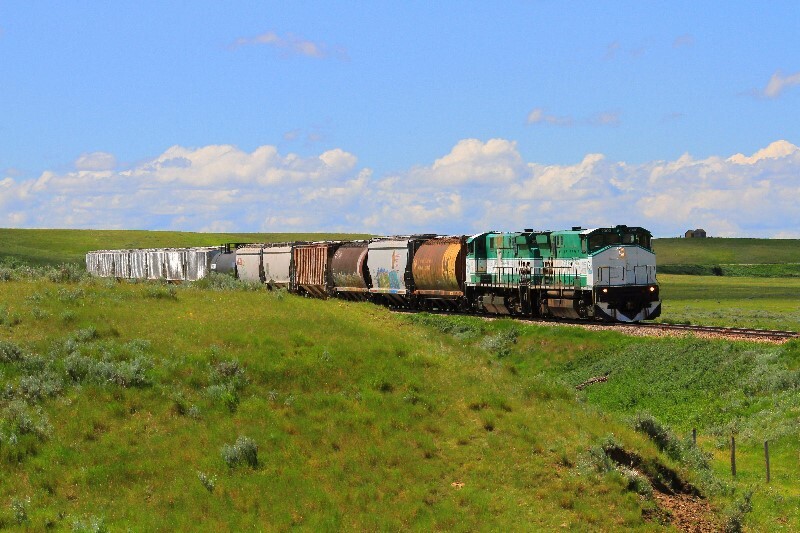 Saskatchewan is blessed with many short lines and the Great Western Railway works in the Assiniboia area. Ken McCutcheon and others have shared many photos from the area and I'd like to visit Assiniboia and photograph a few trains. 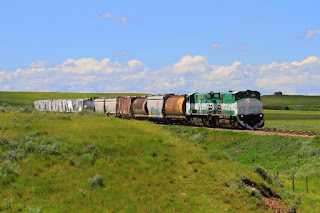 Those MLWs and ex BNSF units are calling me... as are the grain elevators! The Ontario Southland Railway (OSR) is a shortline railway operating in southern Ontario. It operates over several subdivisions but its main draw is the fascinating array of older locomotive power it has. The OSR has FP9s, it has SW1200s, it has RS18s, GP7s and GP9s... working in freight service, no less! I've enjoyed the photos that Greg McDonnell and Walter Pfefferle and others have shared and I want to take my own. I hope to visit the OSR in the fall, maybe when I'm in the Toronto area for my son's graduation from university. UPDATE: I did this one! I would love to visit Churchill, Manitoba. I want to see the polar bears and ride VIA Rail through the remote areas of Manitoba. However, it is expensive to tour Churchill, in the order of several thousand dollars per person. That's definitely a lot more than a few tanks of gas and a hotel night or two to visit Assiniboia! I'd also like to photograph some trains over the Uno trestle in western Manitoba. When I visited Beulah as part of finishing my Manitoba grain elevator project, I was only 10 minutes away from the trestle. I knew it was there but I didn't have time in my schedule to visit it, and I'd like to correct that. 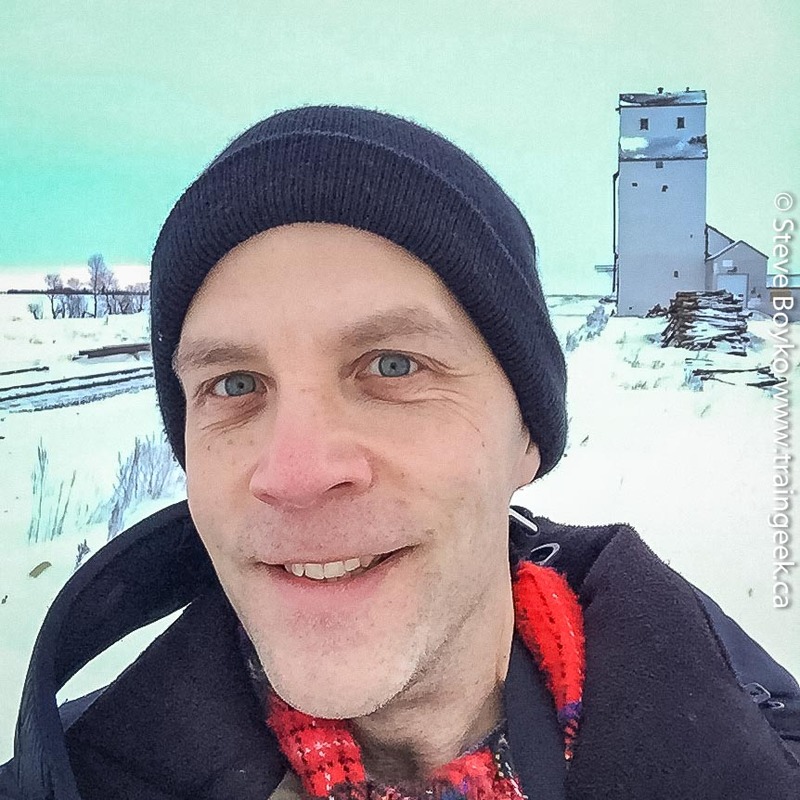 I set out in 2014 to photograph all of Manitoba's grain elevators, and in the summer of 2016 I finished the job. However, there's more work to be done. I have to finish putting them all on the web site, and maybe consider writing a book or eBook. That's my big project for the first half of this year... put every grain elevator online. In 2016 I wrote a few articles for Branchline magazine - I loved doing that. In 2017 I plan on writing a couple of articles for The Trackside Photographer - an excellent web site I recommend you check out. I also intend to write another eBook or two. I have some topics in mind but I welcome your suggestions. Of course, I'll be writing here and on Confessions of a Model Train Geek. I want to help others. In many ways, really, but in the context of this blog, I want to help people improve their photography, answer the questions they have about trains, and just provide a little rail-related entertainment. I'm not claiming to be the one source of answers - far from it - but I've learned a thing or two, and I'd like to share it. 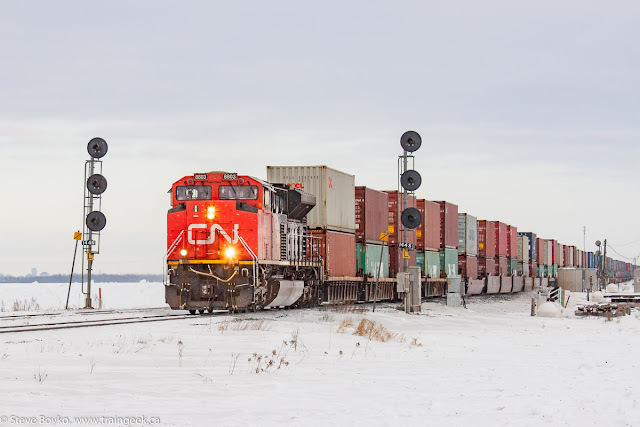 In 2017 I plan on publishing more photography "how to" posts (like this one), a series of posts on Instagram (SO many railfans on Instagram across the world), and more "5 minute railfan" type posts (like this one). I'd also like to publish more guest posts. I really appreciated that Ken McCutcheon and Jack Hykaway and Taylor Woolston guested this year. I don't want to write things that nobody wants. That won't help people. So... please, leave a comment or email me at steve@traingeek.ca. What do YOU want me to write in 2017? Steve, can't wait to see the Manitoba Grain Elevator Project!! Also you mentioned Assiniboia, my grandfather grew up east of Assiniboia (along the same rail line I think) in a place called Readlyn. Now a ghost town. Our friend BWBandy went there this summer. I haven't been since the 90's. Looking forward to your 2017 adventures. Hi Jenn, you can see the work in progress at http://manitobagrainelevators.ca/... lots more elevators to add yet. I hope to do more ghost town exploration this year and next. As part of my grain elevator hunt I did stop in a few of them, but they weren't my primary reason for being there and I only grabbed a few photos here and there en route to elevators. I know in southwest Manitoba I passed by a LOT of ghost towns and abandoned farm houses and the like. Really interested in your grain elevator project. As a young fella I had a bit of involvement with them and was probably a right royal pain in the proverbial when i hung around the elevators at Glenboro - and there were trains there as well!! And later on I worked on cleaning up when an elevator burnt down (Notre Dame de Lourdes springs to mind), and I was on the gang that build an annex to a Pool elevator in Crystal City - my first summer job after finishing high school. Then when I drove trucks, I hauled burnt grain from the Elevator fire at Russell (I think) to a big feedlot at Brooks,Alberta - that was the year of the Mount St Helens eruption. Hi James, it sounds like elevators have been in your life a lot! I have to get cracking on finishing that site... and maybe a book?